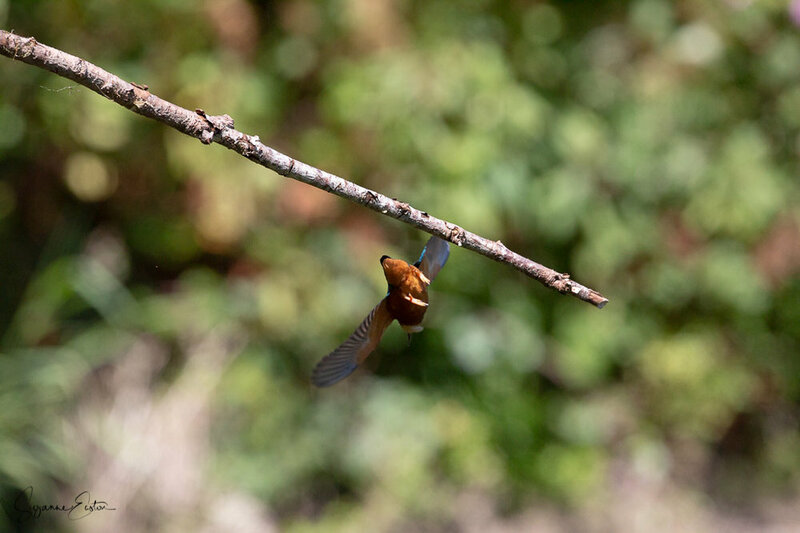 When you are a young kingfisher (Alcedo atthis), fishing is a skill that needs to be learnt. From how to perch, to watching your prey below the surface and diving well it is all a learning curve. Unproductive at times, but the only way to survive! This young female kingfisher was from an early clutch and as the days progressed her skills were improving and her catch rate was increasing dramatically each day. The young are often forced out of their parents territory before they have mastered the skills needed to survive and many young do not make it into adulthood. It is thought that over half do not survive even the first two weeks of life. 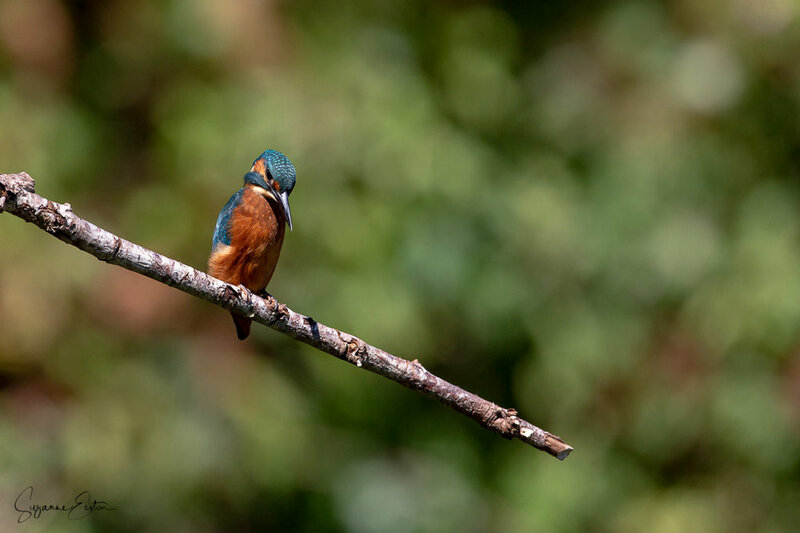 Only a quarter of all kingfishers make it from one breeding season to the next. However, within a breeding season there may be up to three clutches of eggs laid and young raised. This will depend on the weather - flooding, cold snaps and heavy rain can all lead to the loss of young from starvation, cold and flooded nests. This small iconic bird has a difficult life that is believed to last no longer than 7 years. These unique birds are amber listed as their habitat throughout Europe is vanishing and pollution levels within the rivers they need for survival is increasing dramatically. They are also listed as Schedule 1 on the Wildlife and Countryside Act in England and Wales meaning that their nests and young cannot be actively disturbed. They need slow flowing or still water to thrive and are often seen flying low along the surface of the water. Fishing from a perch their shrill chirp can often be heard long before the flash of blue and orange is seen. 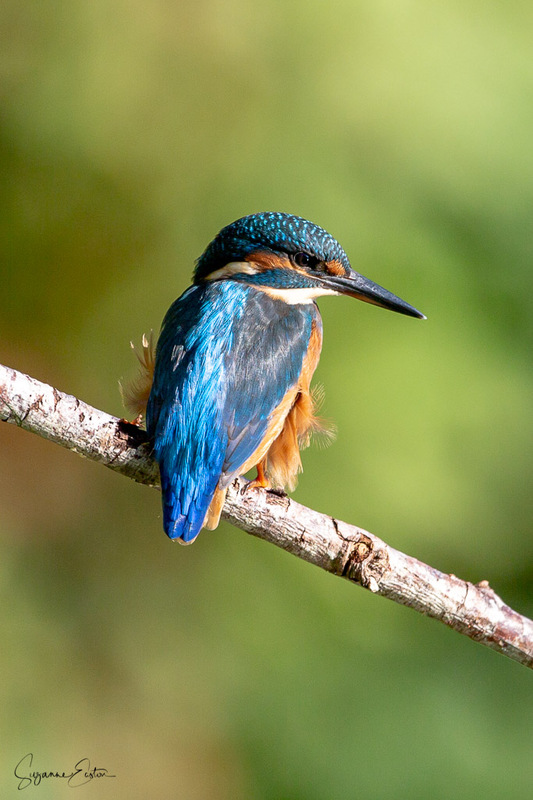 The kingfishers in Somerset appear to be thriving and there are a number that appear on a regular basis. Whilst it is just a small proportion of the 3800 to 6400 breeding pairs in the U.K. it is an encounter that is perfect every time. 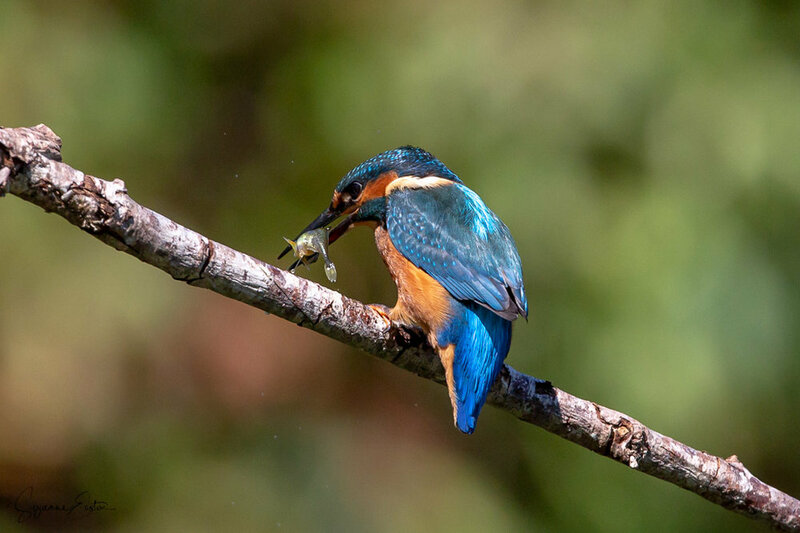 A guide to kingfisher fishing! Find a perch in the sunshine, away from the dominant male who will see you off at the earliest opportunity.